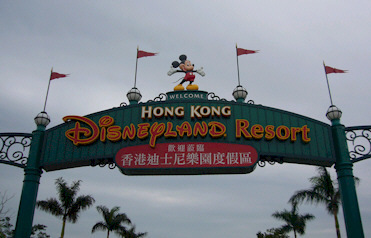 If Hong Kong Disneyland’s much-awaited expansion goes through, it would increase the size of the park by a third and cost around 3.5 billion Hong Kong dollars (450 million US). Disney is currently in negotiations with the city’s government, which owns a 57-percent stake, over the financing for the expansion. The park, desperate to expand its operation to boost disappointing visitor numbers, would aim to open three new themed “lands”, the South China Morning Post reported, citing the park chief executive Andrew Lam. Lam told the paper the expansion would amount to around half of the 7.2 billion Hong Kong dollar cost of a new cruise terminal planned in the city. However, Walt Disney Parks and Resorts president and managing director for Asia, Bill Ernest said any potential deal was not straightforward. The park recently celebrated its third anniversary but has struggled to hit visitor targets. Hat tip to Mickey News.